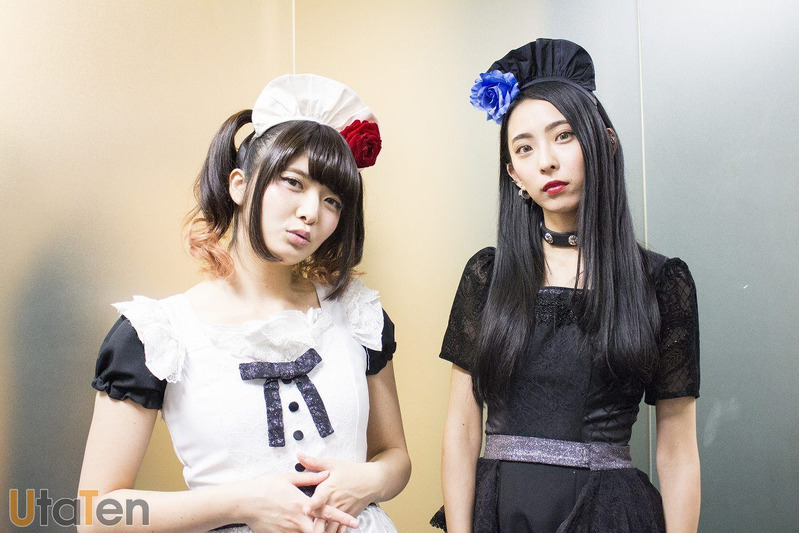 we were lucky enough to speak with Miku Kobato and Saiki about their thoughts on their new singles, sprinting through the Year of the Dog, and ambitions for the Year of the Boar. • Reading Instagram comments is always fun! 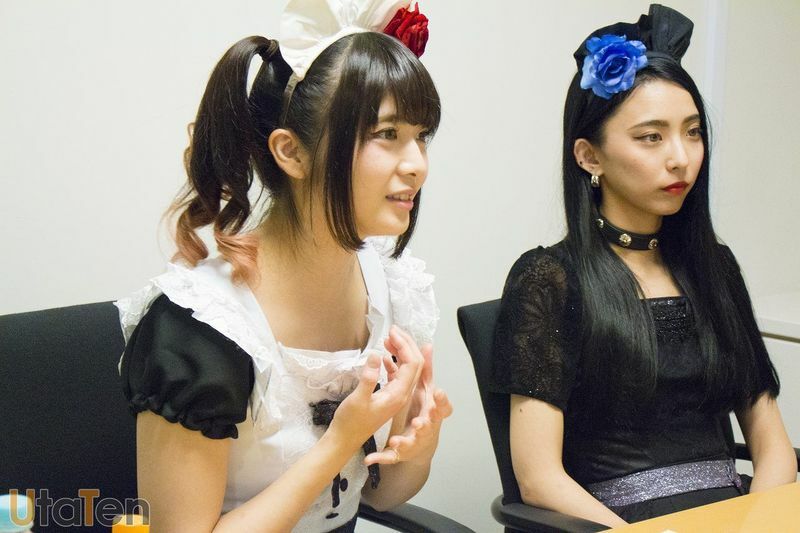 • About the lyrics for "glory"
In this interview, vocalist Kobato Miku and guitarist/vocalist Saiki let us behind the scenes and told us about a certain secret hidden in the music video for "glory." It seems like this secret will be a must-read puzzle for all the Masters and Princesses who love the band! Reading Instagram comments is always fun! Hello, it's Utaten. 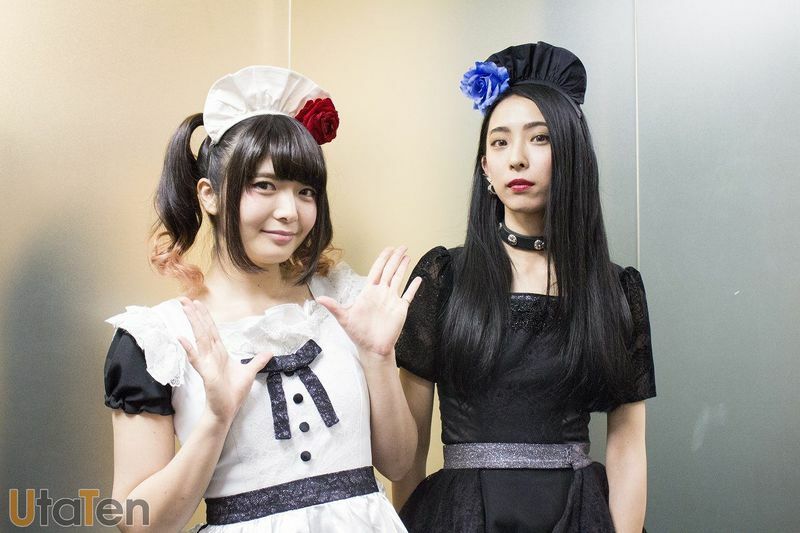 Today, we're here with BAND-MAID's guitarist/vocalist Miku Kobato and vocalist Saiki! Thank you for coming. Saiki: Thank you for having us. — First of all, tell me what's been going on with you two! Miku, when you returned to your hometown in Kumamoto, you posted pictures and so on to your social media, but how did that "triumphant return" feel after so long? Miku Kobato: That's right! I was really happy to go back there. Of course, being able to do one of our servings in Kumamoto really encouraged me, and it made me feel like I have to work even harder, so I think it's helped boost my energy. — And Saiki, you've been posting pictures of yourself with merchandise before it goes on sale, right? Saiki：Right. Before we release it, or before information about it comes out, I show it to people on Instagram first. On Instagram, our Masters and Princesses can give their feedback directly, so that's why! — Saiki, you also have a lot of fun using Instagram yourself, don't you. Saiki：I do. I look at the comments a lot, and I get a lot of ideas, like "What should our next merchandise be?" and other inspirational things like that. — For the two of you, what are your impressions of what you've done during 2018? Miku Kobato: At the beginning of the year, it was like "It's my birth year [in the Chinese zodiac], and it's the Year of the Dog, so I want to chase after this!" but... I think I chased after it so much that I overdid it, and it felt like 2018 was over in the blink of an eye. So, saying it was a really intense year in a good way, that would sum it up perfectly. — On another note, you did an amazing number of "servings!" I think it's incredible that you managed to do servings both in Japan and overseas. Miku Kobato: Right? We set this goal, like "BAND-MAID will take over the world, no limits! " so in between servings in Japan, we went overseas to do servings there as well. — In terms of your health, were your band members okay? Saiki: It feels like we're getting stronger every year. I didn't get terribly sick, and there were more chances for me to take care of myself every day. Miku Kobato: Definitely. Like, I take plenty of massager devices on overseas tours. — What kind of massagers? Miku Kobato: One that you stick on your neck muscles and an electrical current zaps you, one that you strap around your waist and it goes in circles to knead your muscles, those kinds of massagers. — So you're using them at hotels and so on, right? Miku Kobato: Exactly. Especially on overseas tours, we travel on buses, so on the bus, we're all like this... we're all taking turns passing the massagers around. Saiki: We were like, "Let's heal our muscles ASAP!" so some of us were even drinking protein shakes and stuff. Especially our guitarist Kanami and our drummer Akane... They were drinking a lot of those. — Sounds like you were working really hard to get into shape for your servings. Saiki: We were taking supplements too. 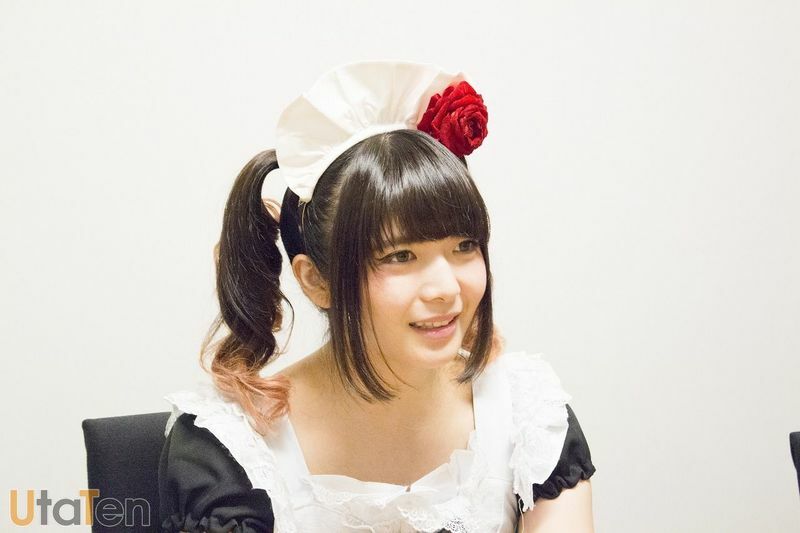 Miku Kobato: It's not like we're all in amazing physical shape, so as we got busier, we started to pay more and more attention to our physical health. Saiki: This might be true for everyone, but especially for BAND-MAID, our bodies are like the funds for our servings. — So I want to ask about your fourth and fifth singles, which were released simultaneously in January of 2019. First up is your fourth single, "glory," where the lead song glory became the ending theme for the anime "Yu-Gi-Oh! VRAINS." The music video has an anime vibe to it, doesn't it. The final scene in particular really made an impression. Miku Kobato: Another Saiki comes up behind Saiki... Yeah. Saiki: That was the first time we had done that type of music video. Saiki: Um, how much of this story can I tell? Miku Kobato: OK! So at the end, the hands in the scene where Saiki's VR headset comes off, they aren't actually Saiki's hands, but a certain "someone's" hands that look like Saiki's. — I thought those were Saiki's hands. So who's hands were those after all? I have to know! — You've got to give me a hint! Saiki: Um, well... A member whose hands you see a lot. So, if you go back and check earlier music videos, you might figure out it out. we were all like "Ooh, they're not really Saiki's hands!" To all our Masters and Princesses, we hope you all try to figure out whose hands they really are. Saiki: When we were making this music video, in order to decide who was going to do the hands, we all lined up our hands in a row, but it was surprising that all of our hands looked alike. Saiki: I was surprised. You don't have many chances to really take a long look at hands, do you? — This video has so many views online, doesn't it?